Mom approved, originally uploaded by Eric Jeschke. 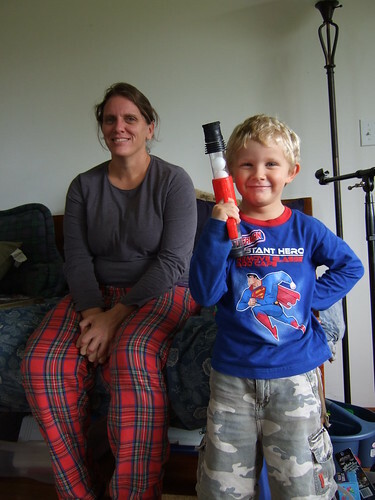 Boy, 5, with new toy gun approved by mother, (age not given). Satisaction level: 10/10. Note the camo shorts.